Some quick thoughts from a week’s worth of viewing, encompassing silent comedy, space documentaries and whatever type of thriller The Counselor is. The first season of HBO’s True Detective was a surprising, moody, and suspenseful elevation of the police procedural drama. While there are some minor shortcomings in the development of the mystery’s many details (and their thematic ramifications), the series was an embarrassment of riches, boasting flawless performances from Matthew McConaughey and Woody Harrelson, bold and effective directorial choices and a compelling setting in the Louisiana delta. Still, the best element of the show are the rich characters writer Nic Pizzolatto creates and the drama of philosophical pessimism they enact. Based on a screenplay by the brilliant novelist Cormac McCarthy, The Counselor is a fascinating examination of moral complicity and cosmic justice, favorite themes of McCarthy’s that also emerge in works like Blood Meridian and No Country for Old Men. Michael Fassbender’s nameless counselor always turns to others for counsel as he decides to enter the drug trade near the Mexican border. The film forces him to take responsibility for his actions and slowly opens his eyes to their reverberating consequences around him. Despite masterful dialogue, the film is marred by schematic, wooden pacing and a truly horrible performance of a key role by Cameron Diaz. A delightful silent comedy from one of cinema’s lightest and most delicate filmmakers: Ernst Lubitsch. Like the great musicals and farces he would create in the 1930s and 40s, The Doll shows the director’s visual creativity and witty remove from the petty machinations of man. The film is about a young man who, forced to marry in order to inherit a fortune, finds a life-sized doll to make his bride, and the film extends this concept of illusion to its very construction, opening with Lubitsch himself assembling a dollhouse where the action takes place. Despite a slow pace, the film is a delight for its many self-consciously phony images. Known for his minimalist and even spiritual form, director Robert Bresson applies a workmanlike and stripped down approach to the trial of Joan of Arc, meant to replaces the faces of passion and pathos in Dreyer’s 1928 film with words of precision and poise. In particular, Bresson emphasizes the rhythm of the process (endless questions and answers; walking to and from the prison cell) and the mechanisms of religious and political forces impacting Joan. Still, Bresson’s atomization of sound and image doesn’t illuminate as profoundly as it does in his masterpieces like Pickpocket. This slow and contemplative documentary about NASA’s lunar missions attempts to capture “for all mankind” what it was like to make the surreal journey from the earth to the moon. 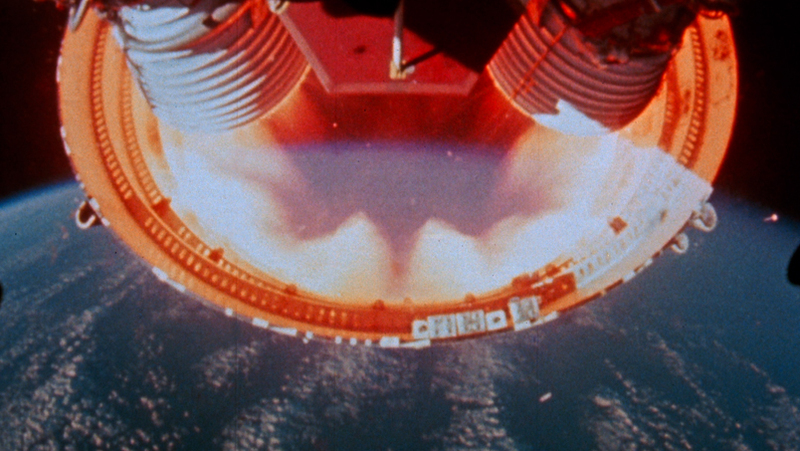 The film works best when quiet, abstract images of space play against the musings of former astronauts and Brian Eno’s ambient score. Made in 1989, the film’s twenty-year remove from the missions themselves helps emphasize just how staggering the achievement was, and how strange and impactful it must have been to see the tiny orb of Earth from the vastness of space.